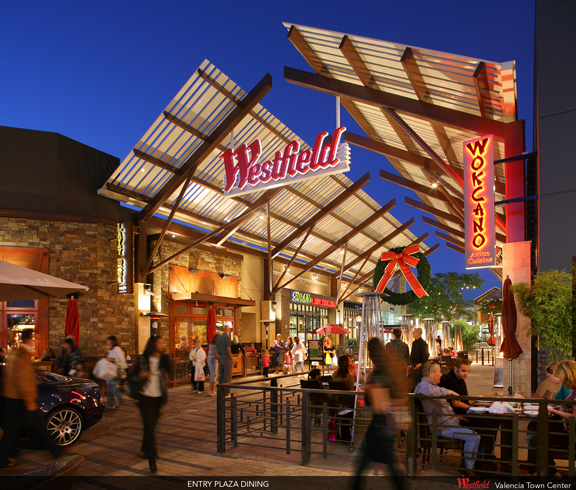 Located in the center of Santa Clarita, Valencia is home to Santa Clarita's main shopping destination, the Valencia Town Center. 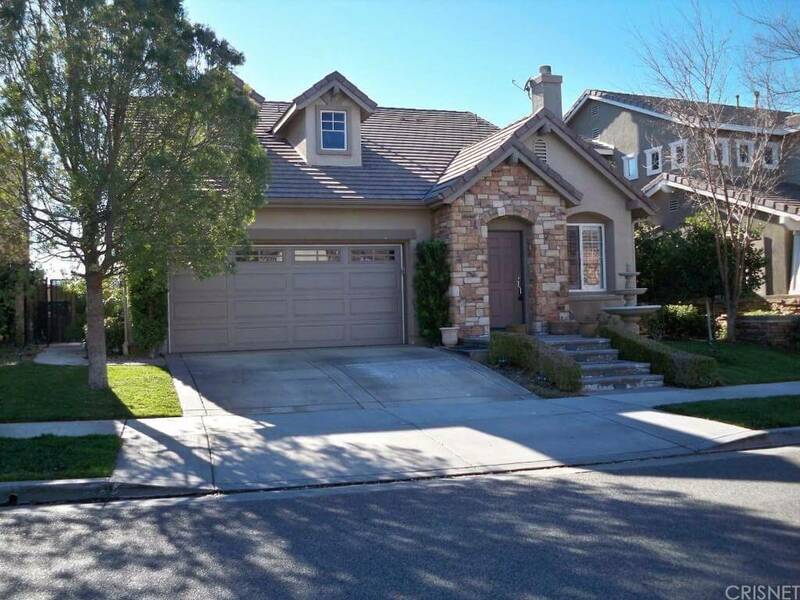 In addition, you'll find the Valencia Auto Mall, College of the Canyons, The Masters College, Cal Arts, City Hall and the L.A. County Superior Court, all within a couple miles of each other. Due west, is Six Flags Magic Mountain, so Valencia stays pretty busy. 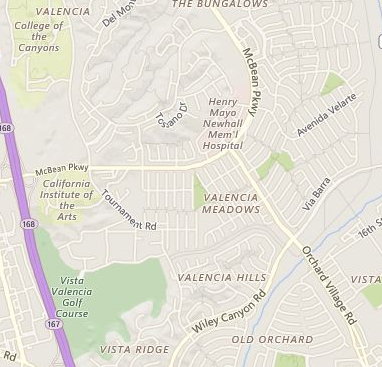 If the intersections were clogged with pedestrians on top of all that, Valencia would have gridlock all the time. 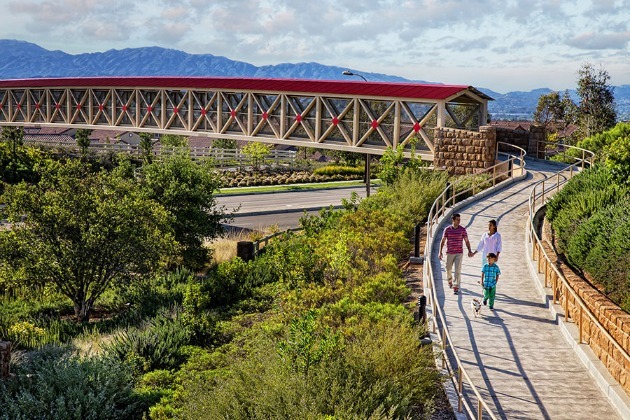 But they have a very nice bike path/pedestrian path system they call "paseos" (shown above) that actually have grade separations, going over and under major thoroughfares, so people and cars don't have to share the same space. That helps, but Valencia and Santa Clarita have their own versions of rush hour traffic, on a smaller scale than L.A.
VALENCIA began to take shape in the mid-60's with Old Orchard (shown above). The city has grown northward from there, and recently to the west.